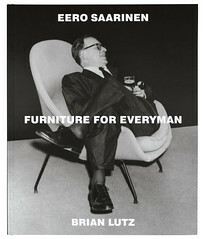 Brian Lutz’s Eero Saarinen: Furniture for Everyman will appeal to all designers – as much for Sam Shahid’s exquisite layout and precisionist typography as for the velvety reproduced photographs documenting Saarinen’s furniture and interiors, and his architectural pièce de résistance, the space-age TWA terminal at Idlewild, later renamed John F. Kennedy, airport in New York. That landmark, now saved from demolition, is as breathtaking as when it was built, in 1956 – in part because, as futuristic as it was, it was made to human scale. The book is oversized but not unwiedly, with a generous quantity of full page black-and-white bleeds, accentuated by letterpress and rotogravure colour reproductions: the perfect format for appreciating Saarinen's ‘everyman’ wares. My favourite image shows Florence Knoll, a close friend of Saarinen, casually sitting in the unfinished prototype of the Womb chair, which used ‘paperclip’ legs for the first time. His status as a pioneer was based on acute curiosity about and understanding of new materials and structures. For instance, Lutz notes, ‘The technological stumbling block for furniture design [during the Second World War] was the compound-moulding of plywood, which Eero Saarinen saw as the path to a sculptural resolution of the conflict between the cubist approach to Modernist furniture and the requirements of the human body in the three-dimensional world.’ While Charles and Ray Eames concentrated on plywood, Saarinen experimented with compound-curve shapes in other materials. Shahid’s strict Modernist format makes Lutz’s informative text highly readable. The squarely justified columns of type exude an authority unattainable by unjustified text. It is a heavy book and needs to be read on a table (preferably a Pedestal table). 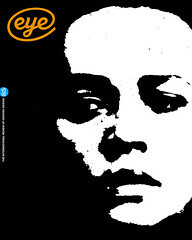 But read it you must: don’t just look at the pictures. The scope of Saarinen’s career is smartly spread over 224 pages. It is particularly pleasing to see many Knoll graphics, by Herbert Matter and others, used to promote and catalogue the furniture. And there is a great photo of Loja Saarinen, the designer’s mother, posing in a regal evening dress in the Saarinens’ living room in Bloomfield Hills, beside one of the first Womb chairs. How fitting - the mother and the new-born womb. 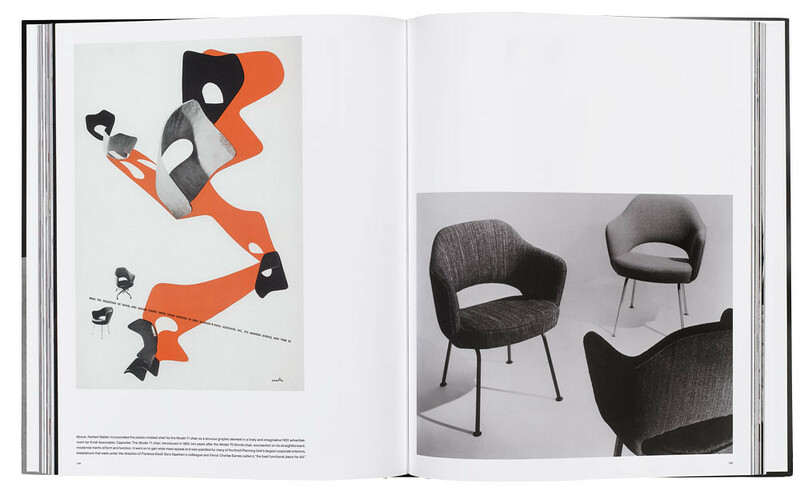 Top: the spread below features Herbert Matter’s 1951 advertisement for Knoll Associates featuring the plastic-moulded shell for the Model 71 chair.